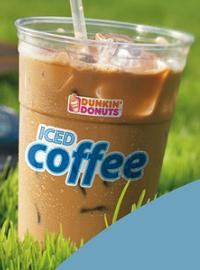 On May 15th, visit your local Dunkin Donuts between 10 am – 10pm for a free 16 oz iced coffee. Mark your calendar now to remember to go and treat yourself. Check out Dunkin Donuts for more information. oh, they are really good! *sniffle* your right there are no DD in Canada.